Valentine’s Day is just around the corner! February 14th is a special time to spend with your significant other and your children. 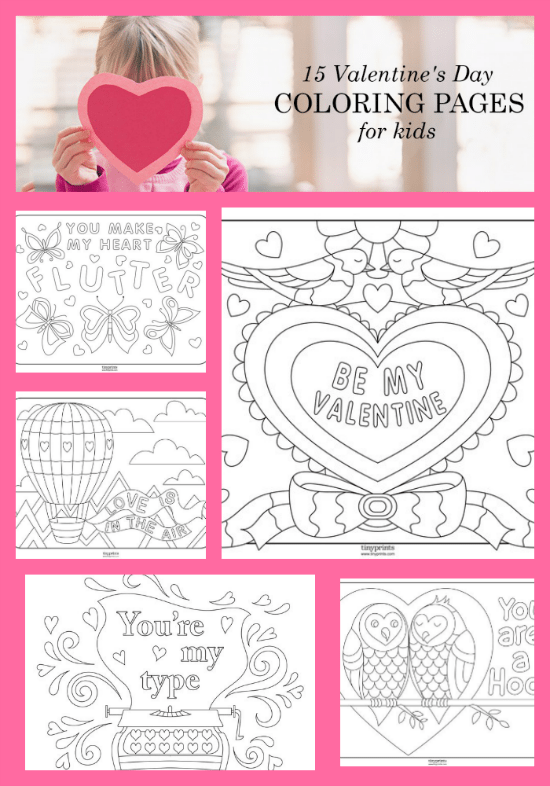 To spread the love, Tiny Prints recently created 15 free Valentine’s Day coloring pages for all ages. From fun phrases such as “love is in the air,” to cute illustrations of butterflies, dinosaurs and more, these coloring pages are perfect for boys and girls. Simply download and print the pages at home and break out your coloring pencils for a fun activity you can enjoy as a family. To bring your kid’s coloring to the next level, let them experiment with glue and glitter. They’ll love to show off their creative talent and hang it around the house for all to see! So cute!!! This is perfect timing we are having a cousins sleep over tomorrow night and this will certainly entertain the younger kiddos. Happy Valentine’s Day! I will have to print these out for my daughters. They love to color and they are cute! This is so much fun for my daughter to have fun coloring Valentine’s Day coloring pages. I will have to print some out for her! Thanks for sharing! These will be great for home or for the school classroom. We are actually probably going to have a snow day tomorrow, so I’ll print some out for the kids to work on while they are home. I loved coloring as a child. I keep telling myself I need to schedule some down time for me now and color again, it’s been a long time! Perfect timing! My daughter is headed to a Valentine’s-themed birthday party tomorrow. These will be perfect to bring along!